The 2017 Ocrafolk Music & Storytelling Festival is this weekend, June 2-4. This celebration features musicians, storytellers, artisans, and characters of Ocracoke Island and beyond who come together for one incredible weekend of performances and fun! In addition to weekend performances, events include a Friday Night Fundraising Art Auction, a Saturday night traditional Ocracoke square dance, and a Sunday morning gospel sing. 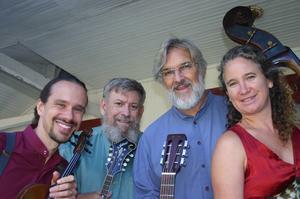 Click here for more information: http://www.ocracokealive.org/ocrafolk-festival.html. As the air and water warm up, islanders are getting their clam rakes and heading out into the Sound to rake for clams. 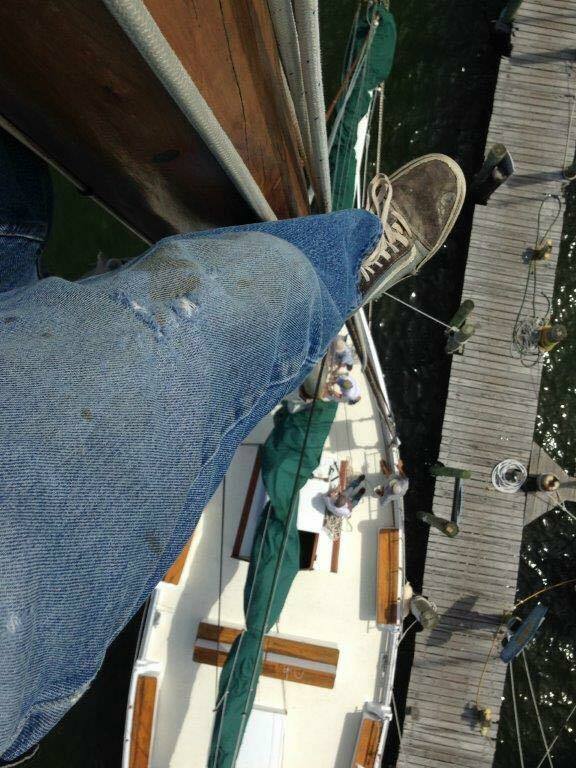 I took this photo of island visitor, Archer, just after he jumped overboard. In less than an hour Archer, Al and I had our limit of 200 clams, and we were heading back, anticipating a hearty meal of clam chowder or clams casino...or maybe just a feast of raw clams. Here is a photo of Archer proudly displaying his bounty. 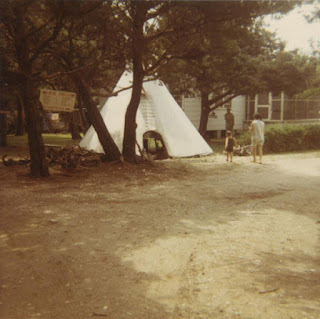 Longtime residents and visitors to Ocracoke may remember this scene from the early 1970s. 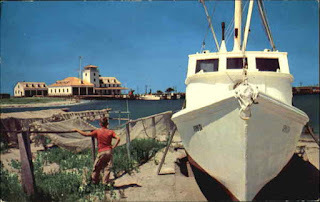 My son, Stefen Howard, creator of OcracokeNavigator.com, periodically publishes "History Hunt" vintage photos. This is photo #7. If you can identify the location of this photo you will be entered in a drawing to win a free t-shirt. Details are available at https://www.ocracokenavigator.com/history-hunt-7/. 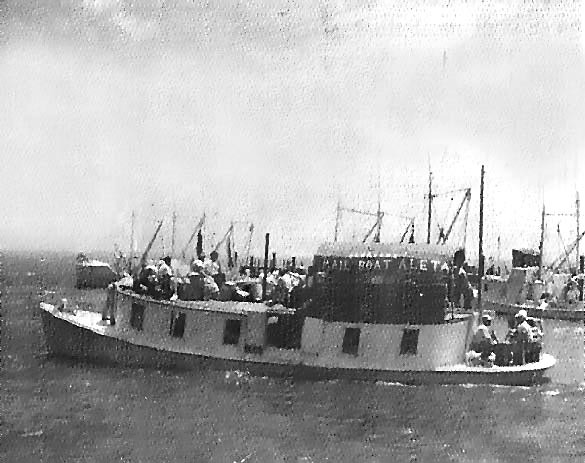 Commercial fishing on Ocracoke blossomed after 1938 when the island got its first electric generator and an accompanying ice plant. Below is a 1960s postcard showing a fisherman's nets drying in the sun. 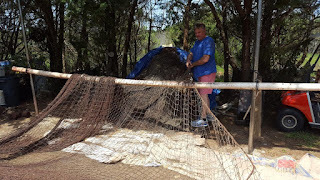 I took the following photo of island native Jesse Spencer just a few weeks ago as he was tending to his nets. Things haven't changed all that much in the last 50 years, although the wooden poles have been replaced by PVC pipe, and there wasn't a golf cart in the background of the 1960s photo! A visit to Ocracoke is not complete without a stop at the lighthouse. Our 75 foot tower built in 1823 is probably the most-photographed structure on the island. 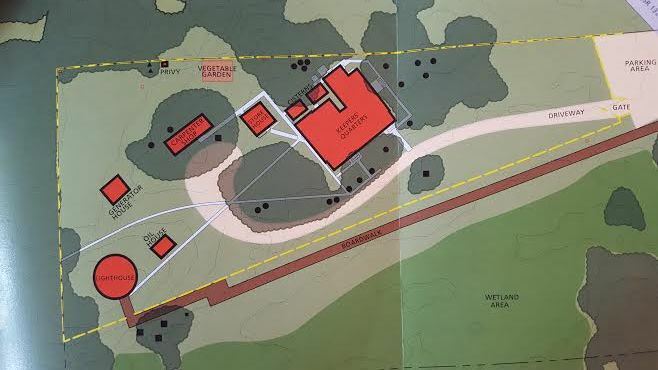 The site plan below, taken from the National Park Service's 2016 Cultural Landscape Report on the Ocracoke Light Station, shows the location of the light tower (bottom, left) and the keeper's quarters (top, center) as well as various outbuildings. I recently wrote about the privy. As you can see, there are other outbuildings on the property: an oil house, a generator house, a carpenter's shop, and a store house, as well as a vegetable garden and two water cisterns. 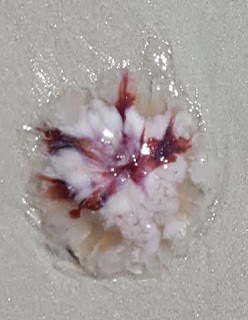 Not long ago I discovered this jellyfish washed up on the beach. I didn't know what species of jellyfish this was, but I thought it especially beautiful. According to the South Carolina Department of Natural Resources, "Few marine creatures are as mysterious and intimidating as jellyfish. 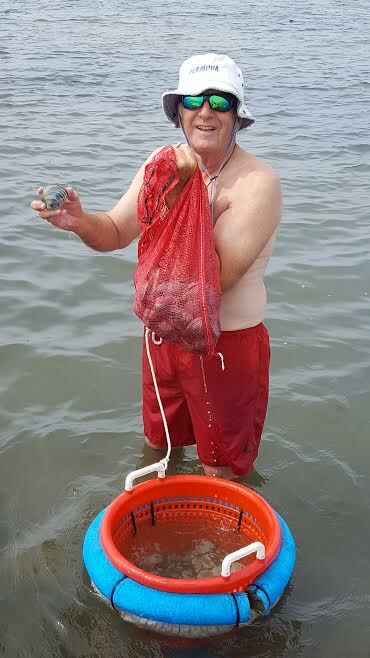 Though easily recognized, these animals are often misunderstood and feared by beach goers, even though most jellyfish in South Carolina [and North Carolina] waters are harmless." You can read more here. While spending time on Ocracoke you might hear someone mention the National Park Service docks on Silver Lake Harbor. However, if you are speaking with native islanders you will more likely hear the docks referred to as the Base Docks. 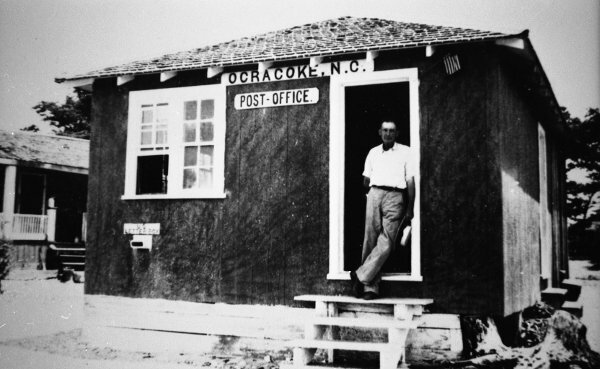 A U.S. Navy Base on Ocracoke was commissioned on October 9, 1942. On January 16, 1944 it was converted to an Amphibious Training Base, and in 1945 it was converted to a Combat Information Center. At one time more than 500 Navy personnel were stationed at Ocracoke. The Base was closed in 1946. 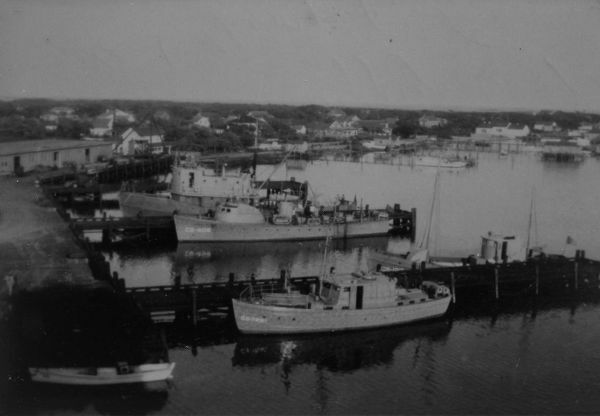 In his book, "Ocracoke Island, It's People, the U.S. Coast Guard and Navy Base During World War II" Earl O'Neal includes several photos of the Base taken in 1947 by LCDR Henning A. Rountree, Jr. USNR RET. The pictures were sent to Ocracoke residents, Wahab & Elizabeth Howard. Their daughter, Elizabeth Howard Chamberlin, submitted the photos for publication on-line. You can view them here: http://www.ocracokeisland.com/navel_base_photos.htm. This month we share with our readers a wonderful web site with photos and stories about the mailboat Aleta. You can not only read a delightful description of this iconic vessel, but you can also listen to 7 short audio recordings of interviews with Ellen Marie Cloud, daughter of one of the Aleta's captains. She relates first-hand memories of coming to Ocracoke in the early 20th century. Many thanks to the folks at the Core Sound Waterfowl Museum and Heritage Center for sharing this information on the Web! The black-bellied plover, also known as the grey plover (Pluvialis squatarola) breeds in the Arctic regions, but winters in southern coastal areas. 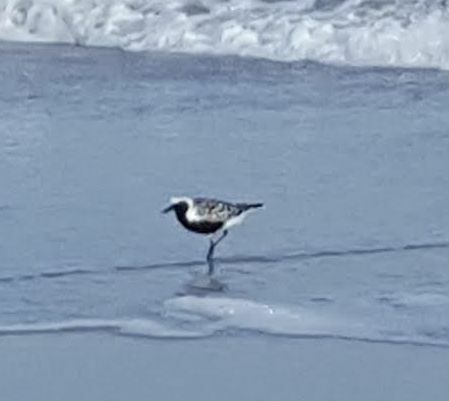 I spotted this black-bellied plover (from late April through August they have a black breast and belly; they molt to grey in fall and winter) a few days ago on the ocean beach. This bird is the largest plover in North America, and its distinctive markings make for a striking sight on our beaches. 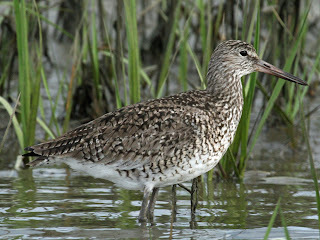 You can read more about the black-bellied plover here. 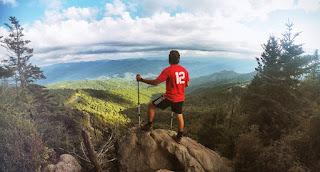 Last week I wrote about the North Carolina Mountains to the Sea Trail (MST). This 1,175 mile trail extends from the mountains to the coast. Just over 14 miles of the trail are on Ocracoke Island. If you will be on the island Saturday, September 9, please consider hiking one of the three legs of the trail on Ocracoke Island (one is 4.5 miles long; one 3.2; and one 6.6). Of course, many other segments of the trail are available to hike. To register to hike, and for more information, please visit the MTS web site. The US Navy established a sizable base on the island in 1942. Some years ago I heard the following story. When WWII ended, the base was decommissioned. Although the government hired a watchman to protect their abandoned property, it soon became apparent that there wasn't any effort to keep the buildings from quickly deteriorating, which distressed a people accustomed to reusing material and making do with what was available. A few islanders discovered that the watchman had a craving for spirits. When he was sufficiently "under the weather" and asleep, those "lawless Outer Bankers" went to work with crow bars and hammers. One islander recalled it as the "midnight requisitions." One particularly resourceful islander decided to remove an entire building! 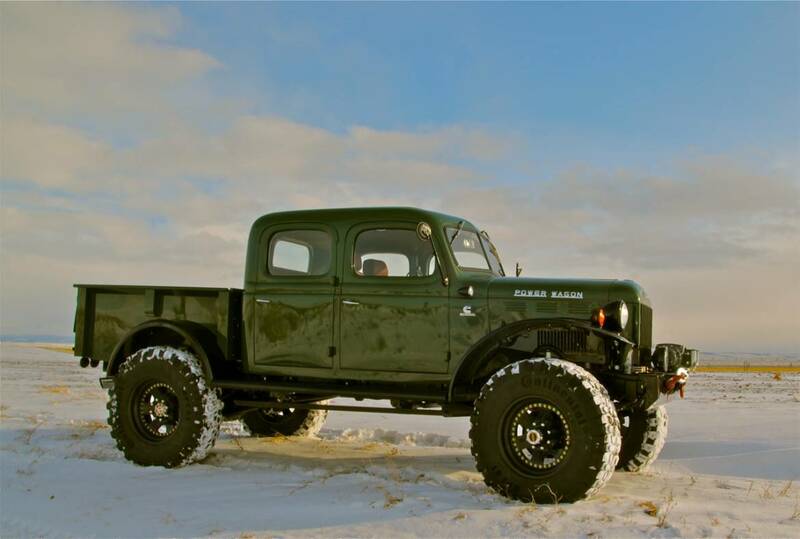 He had purchased an Army surplus Power Wagon, and went to the base and loaded the small building onto a boat trailer. As he was hauling the building down what is now British Cemetery Road, the Power Wagon stalled and quit. He was unable to restart the vehicle, so he unhooked the trailer, leaving it and the building in the sandy lane. He and friends pushed the truck to his yard. Of course, the next morning the watchman noticed the building gone, and soon located it in the lane. When confronted, the perpetrator claimed innocence, noting with insouciance, "Why there's no way it could have been me; that old truck over there, it won't even start!" I never did hear what happened to the building. It is probably in someone's yard today, being used as a storage shed. 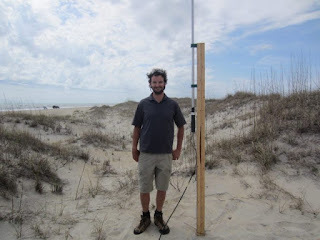 Two exciting collaborative projects studying offshore currents and the Gulf Stream have been initiated by the Coastal Studies Institute (CSI) and the National Science Foundation, along with other partners. The NSF's project is called "Observational and Modeling Study of the Physical Processes Driving Exchanges between the Shelf and the Deep Ocean at Cape Hatteras" (PEACH). The CSI project is looking into the possibility of using an autonomous underwater vehicle, or AUV, and water driven turbines to harness the energy of the Gulf Stream to generate power. According to the Coastal Studies Institute "the movement of water [in the Gulf Stream] is some 45 times greater than the flow of every river on earth...[and harnessing] just 0.1 percent of the available power would yield the equivalent of 150 nuclear power plants." For more information see Kipp Tabb's article in the Coastal Review. According to Catherine Kozak in a subsequent article in the Coastal Review, the complementary PEACH project "is meant to answer critical questions about the ocean’s response to climate change and the influence of marine ecosystem dynamics." Radar outposts have been set up at four locations on Hatteras and Ocracoke. Kozak explains that "it’s the latest in an ambitious collaborative scientific project to decipher the dynamics of the water exchange between the continental shelf and the Gulf Stream, the ocean speedway that nearly brushes the crook of the Outer Banks.” For more information see Catherine Kozak's article in the Coastal Review. Visitors to Cape Hatteras National Seashore are often fortunate to see various shorebirds and wading birds along the beach or in the marsh. Long-billed curlews can occasionally be seen, but they are not as common as Willets which frequent Ocracoke year around, and can be abundant on the beach. 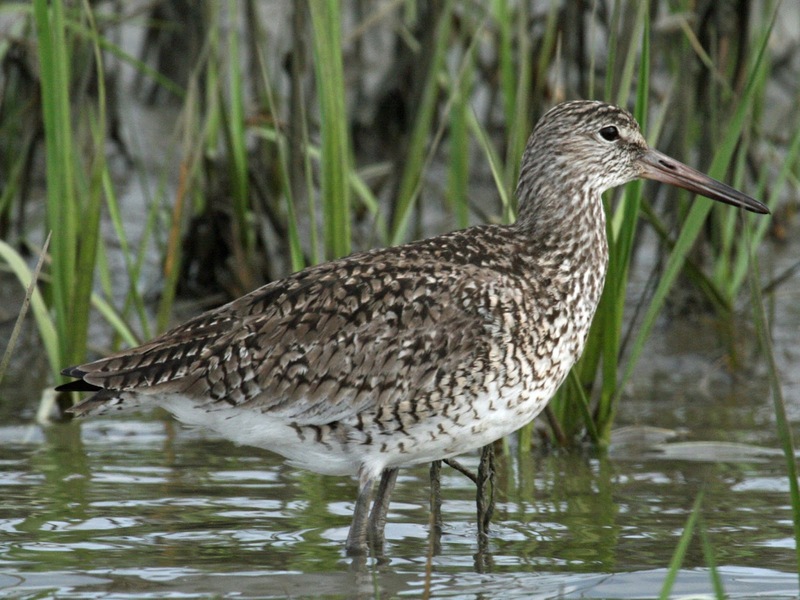 Visitors to the Seashore might be surprised to learn that curlews and willets were hunted extensively in the late 1800s and early 1900s. The following promotion was included in an 1890 advertisement for the Ponder Hotel on Ocracoke Island: "Sportsmen find game in abundance. It is remarked that the curlew and willet shooting surpasses the quail shooting of California." I can remember hearing my father (he was born in 1911) saying that shorebirds were "good eating!" 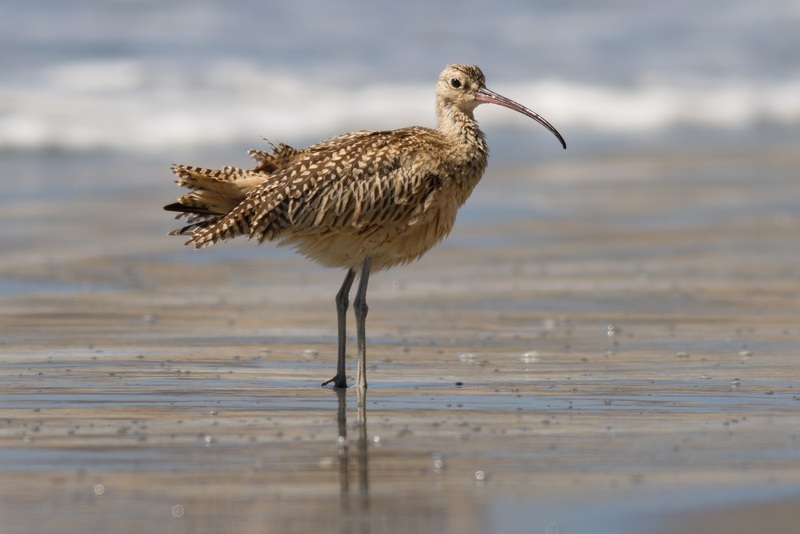 Today, curlews, willets, and other shorebirds are protected species. Their numbers have increased in recent decades, although loss of habitat still threatens their long-term survival. 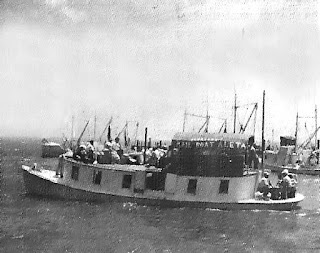 Today at 11 am, a ceremony to remember the crew of the HMT Bedfordshire, an armed British trawler that was sunk by German U-boats, will be held on Ocracoke at the British Cemetery. Organized by the War Graves Committee on Hatteras, this ceremony honors sailors who lost their lives off the coast here May 11, 1942. May is the month of Memorial Day and a time for decorating the resting places of revered and loved ones. Public ceremonies will be held at many of our National cemeteries where those who sacrificed their lives for their country are laid to rest. And although no such public ceremony will take place at the little British graveyard on Ocracoke Island, far away in England are those who will think lovingly of dear ones buried here and at other places along the Carolina Coast--victims of the intensive submarine attacks ten years ago in May 1942 when British and American ships were desperately patrolling off the Atlantic Coast. The little British graveyard on Ocracoke Island contains four graves, two of which are marked "Unknown". A third bears the name of Lt. Thomas CUNNINGHAM; the fourth that of Stanly R. CRAIG, AB. 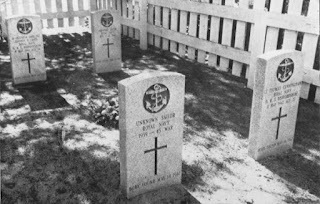 The words "Royal Navy" and "Body found May 14, 1942" are inscribed on all four of the bronze plaques on concrete crosses erected at the time of burial. All bodies were identified as members of the crew of HMS Bedfordshire which disappeared with all aboard enroute from Norfolk to Morehead City, it's temporary home port. A body found at Cape Hatteras at about the same time was also identified as off the Bedfordshire, though the name of the sailor is unknown. Another body was found on a shoal far up Pamlico Sound and was buried at Swan Quarter. Rites at Ocracoke were held by the late Amasa FULCHER, prominent layman of the local Methodist church. A year later at Mrs. CUNNINGHAM's request, a Catholic service was held by the Navy Chaplain, then stationed here. Land for the British burials was given by Mrs. Alice WILLIAMS near the WILLIAMS family graveyard. Markers were made by the T.A. Loving Construction Co. then building the Navy Base nearby. 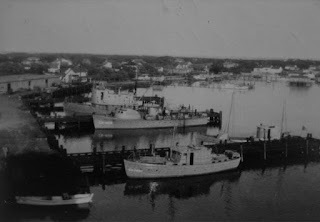 One Ocracoker, by strange coincidence, had talked with Lt. CUNNINGHAM a night or two before the Bedfordshire left Norfolk. They had met at a crowded table in a restaurant where Wahab HOWARD had told them something of Ocracoke Island. He had noticed the watch and signet ring on the hand of one. It was this same watch and ring together with a bank book found in his pocket that identified CUNNINGHAM as one of the victims of the submarine disaster. The Bedfordshire was due at Morehead City one day later but never reached that destination and none of its officers and crew lived to tell the story of its disaster. While walking the winter beach several months ago I spied a gentleman and two women coming towards me. We all stopped at the same place to watch a large pod of dolphins swimming back and forth just beyond the breakers. As we were ready to move on, the gentleman handed me his card. He was Jerry Barker, Board Member of the Friends of the Mountains-to-Sea Trail in North Carolina. I had heard of the Trail, but didn't know any details, so when I returned home I did some research. As their web site explains, the Trail, which is an official part of the state parks system, "stretches 1175 miles from the Great Smoky Mountains to the Outer Banks, stopping at many of our state’s most beautiful places along the way." Ocracoke is included in Segment 18, The Outer Banks, from the Cedar Island Ferry to Jockey's Ridge, which the web site describes as "rich with history, wildlife, and scenery." On further reading of their web site I discovered this paragraph: "What can the MST mean to you? It may mean a short walk with your family near your home. It may mean a weekend backpacking trip with friends. Or it may mean a challenging, inspiring trek of 1175 miles across North Carolina. However you experience the Mountains-to-Sea Trail, the beauty of North Carolina will fill you with wonder and joy." So, check out the Mountains to Sea Trail. 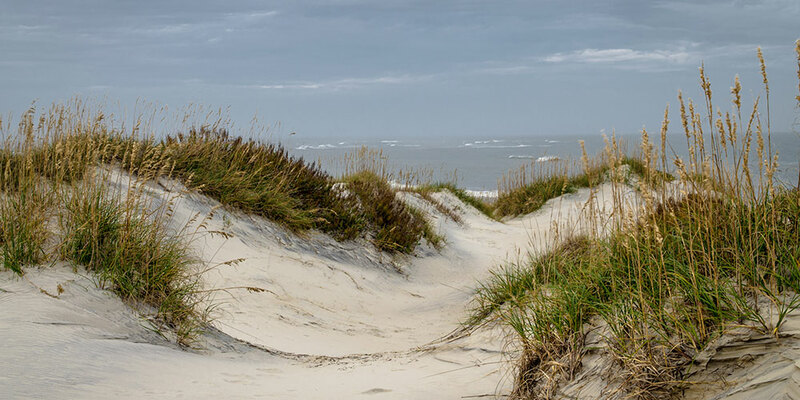 Whether you decide to hike the entire 1175 miles, enjoy a shorter camping trip, or simply stroll along the beach at Ocracoke, think kindly of the folks who help preserve and maintain those special places in North Carolina for our enjoyment. 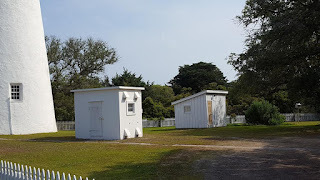 According to a National Park Service Cultural Landscape Report on the Ocracoke Light Station, "One of the most essential support buildings included in the original 1823 specifications [for the construction of the Ocracoke Lighthouse] was a privy." The Report goes on to say, "[The privy] is recorded on the earliest site plan of 1890 and...[in] 1893.... It was frame with a wood foundation.... Plat maps show that the privy was always located along the east property line although, typical of privies, it was moved several times in the general area." The privy was repaired or rebuilt several times, including in the early 1880s, 1913, and 1916. The privy was totally reconstructed, according to the original design, in 2004 and 2010. 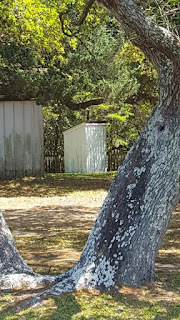 Although most visitors to the Ocracoke Light Station focus their attention on the lighthouse, several other structures are located on the property. 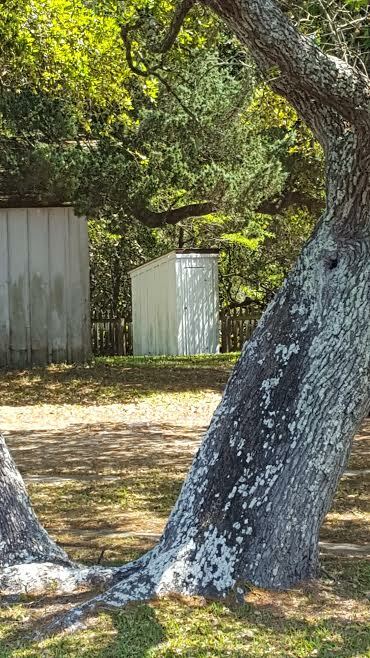 The privy can be seen to the left of the keeper's quarters as you walk up the boardwalk toward the lighthouse. "Buffalo Lithia Waters, Nature's Materia Medica." 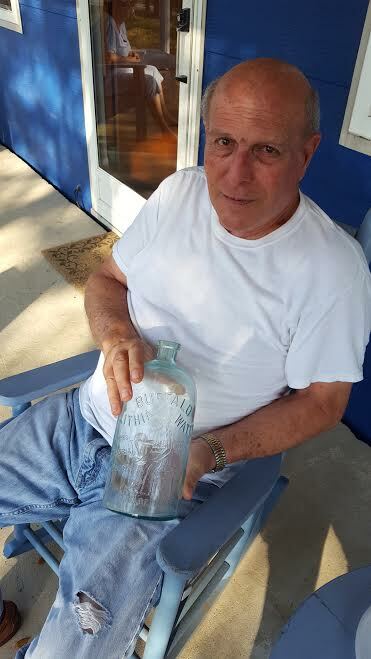 So reads the embossing on this large bottle found on Ocracoke by Bradford Gaskins some years ago. According to a web site I discovered, "The first European-Americans to visit Buffalo Springs in Virginia and record their visit are believed to have been a survey group led by William Byrd II in 1728. In his diary, later to be published as 'The History of the Dividing Line: a Journey to Eden', Byrd poetically wrote that the waters of Buffalo Springs was 'what Adam drank in Paradise, by the help of which we perceived our appetites to mend, our slumbers to sweeten, the stream of life to run cool and peaceably in our veins, and if ever we dreamt of women, they were kind.' Byrd's survey party also sighted many signs of buffalo near the springs, hence the name Buffalo Springs."
For several decades after 1876 the water was bottled and sold in thousands of stores. Sales plummeted after the Pure Food and Drug Act determined that the water had no medicinal value. You can read more about Buffalo Lithia Waters here: https://www.antique-bottles.net/showthread.php?279284-buffalo-lithia-water-bottle. About 45 miles SW of Ocracoke (as the sea gull flies) lay the small settlement called Diamond City. Several hundred people lived there, on the eastern end of Shackleford Banks. Although people of European descent had acquired the spit of sand as early as 1723, it wasn't until about 1885 that the settlement acquired its name. Shore-based whaling had become the primary industry there, and by 1899 about 500 people called Diamond City home. It was in August of that year that the powerful San Ciriaco hurricane struck with a vengeance, causing widespread destruction. When the storm was over, most of the islanders began moving away. 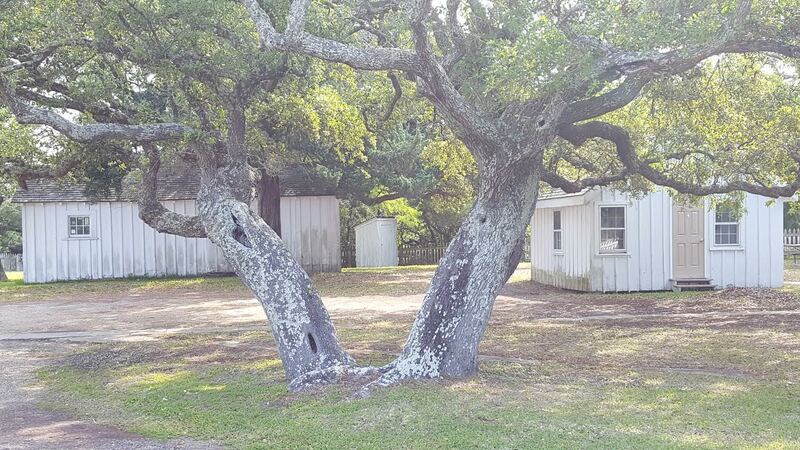 The last of the residents had left by 1902, most having relocated to Harkers Island, Salter Path and Morehead City. “Diamond City today is nothing but sand dunes. All of the houses are gone. Occasionally when the winds or tides sweep across the sands the bleached bones of many of our earlier citizens are exposed to view. Click here for an excellent history of Diamond City. Yesterday I posted a short video of Fiddler Dave's performance of his original song "Howard Street." It received several lovely comments. One reader asked for the lyrics. I have posted them below. They are also available, along with much more, on the Molasses Creek web site. "Howard Street" is from the album Best of Molasses Creek: 1993-2000 ~ 2001. This was written for a special place (Ocracoke Island), and a special person in my life. Any trip to Ocracoke would be incomplete without a visit to Howard Street. No other island thoroughfare has the history and charm it boasts. 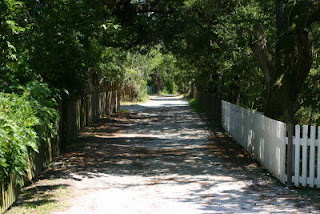 This narrow sandy lane is lined with historic homes, several of the largest live oaks on the island, and numerous family cemeteries dating from the early 1800s. Howard Street has even been memorialized in a beautiful song by Fiddler Dave Tweedie of the island's Molasses Creek Band. Of course, Village Craftsmen, our gallery of fine American handcrafts is also located on Howard Street. When visiting the island be sure to include a stroll down historic Howard Street. "Authorities say a woman led police on a high-speed chase on a North Carolina coastal island but found out it's hard to elude the law when the only highway leads to a ferry dock." You can read the full story here. A job not for the faint of heart! In 2013 I published an article about the history of the Ocracoke Post Office. The island's 19th postmaster was Thomas Wallace (Mr. Tommie) Howard (1878-1972). He was appointed October 21, 1902, and held the position for nearly 40 years, until he retired in 1941.
" 'Mr. Tommie' as he was affectionately called, was born at Ocracoke in 1878.... His father died when Tom Wallace was six months old. He was the only boy, with four sisters....The young lad worked in a store for many years as a clerk. 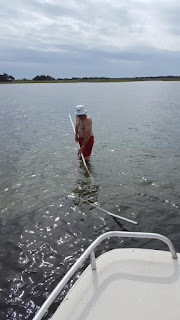 At one time he carried the mail in a 22-ft. sailboat from Ocracoke to Avon, and sometimes with no wind blowing, he had to row the entire distance. "He was appointed postmaster in 1900 [should be 1902] and served until retirement in 1941. "Both 'Mr. Tommie and 'Miss Bessie' were members of the Methodist Church. He served as a Sunday School teacher, choir leader, and member of the Official board. Since he carried in his memory a great deal of the history of the island and its people, visitors from elsewhere turned to him for interesting stories of the past...."
Mr. Tommie's granddaughter, Betty Helen Howard Chamberlin, and her husband, George, own and operate Captain's Landing Motel, on the site of the old Ocracoke Store (and early Post Office). 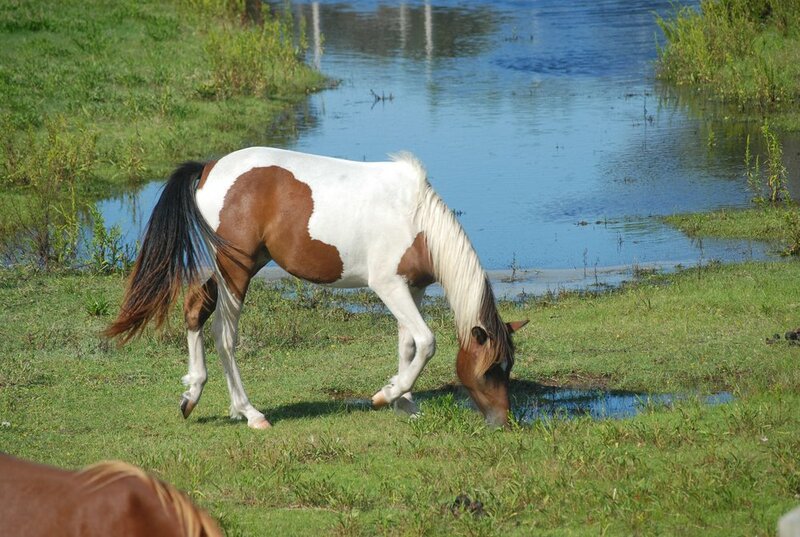 At one time Ocracokers used the undeveloped area of the island as an open range for livestock. As late as the 1950s horses, sheep, cattle, and other livestock roamed freely on the island. That changed in 1958 by an act of the North Carolina Legislature. 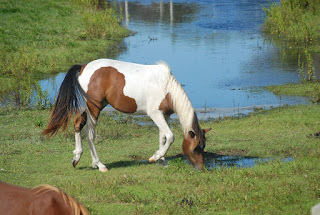 Only the ponies on Ocracoke Island and Shakleford Banks were excepted. Stock along the Outer Banks.